Abby the Librarian: AudioSynced June Roundup is at Stacked! Head on over to Stacked for the June AudioSynced Roundup! Kelly's collected a lot of great links to audiobook news and reviews, but there's plenty of room for more! If you've reviewed or discussed audiobooks on your blog in June, leave a comment on this post or Kelly's post and we'll include your link in the roundup! Taking a road trip this summer? 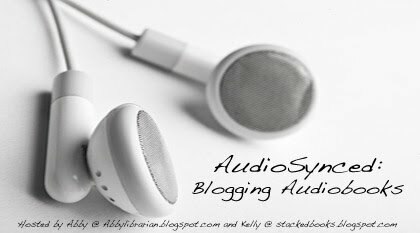 AudioSynced is the perfect place to find audiobook recommendations for all ages!